Midlands Regional Rally - This event held in Wolverhampton on 22nd September 2012 was organised by young people to defend the futures of young people and really showed how much youth work means to them. A lot of great work was put into organising it by the Wolverhampton Youth Council and it turned out to be a really special day. National Youth Lobby of Parliament - Over a thousand young people, workers, MPs and trade unionists came together to speak up for young people. 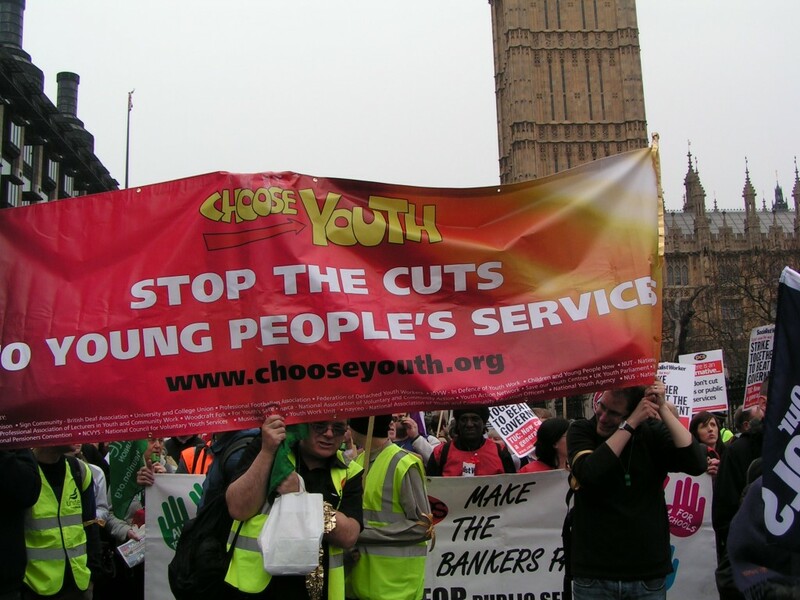 This very important Lobby was held on Tuesday October 25th 2011, at Methodist Central Hall, Westminster and saw a whole host of speakers passionately arguing for youth services and for youth work. 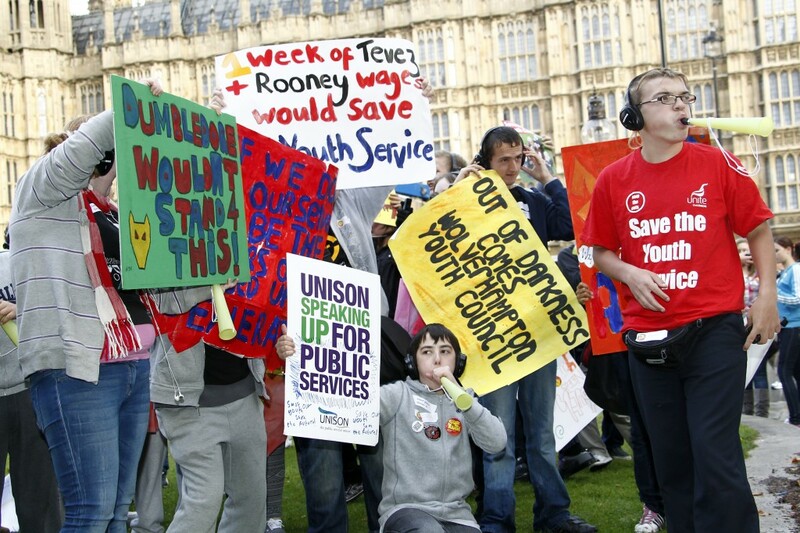 Youth services have been ‘disproportionately cut’ and it was made clear that if we are to stop the havoc being wreaked across the country and if we are to save vital services for young people then we must make MPs from all parties listen and speak up for young people and young people’s services. March for the Alternative - Choose Youth marched with trade unionists, young people, youth organisations, students and anti-cuts activists all united to form a 500,000 strong "March for the Alternative" on March 26th, 2012. Together we hoped to send a clear message to the government that cuts in the public sector, in youth services and other services to young people, are not the way to tackle the deficit and are seen by many as nothing other than a politically motivated choice. Videos are available from the Choose Youth Facebook page. London Rally - Choose Youth held a successful rally in London which brought together passionate young people fighting to save youth services. Watch a video overview here. Solihull Rally - Choose Youth held a historic national rally on February 12th 2011, which brought together over a thousand young people, trade unionists, youth workers, volunteers, and youth organisations representing both local authority and voluntary sector services for young people. This was the event that launched the campaign.